Apple cider vinegar, commonly known as cider vinegar, is popular for its use in cooking and medicinal benefits. Cider vinegar is obtained by fermenting the juice of crushed apples and treating the juice with acetic acid. It serves as a go-to remedy for quite a few health conditions. In this article, we will discuss the effectiveness of apple cider vinegar for gout. We will also tell you how to use apple cider vinegar for gout pain relief. The alcoholic nature of apple cider vinegar makes it rich in antibacterial properties, while the acid content qualifies apple cider vinegar good for inflammatory conditions such as gout. Gout is a joint inflammation condition, which is characterized by sudden, acute pain in the joints that results in swelling and redness of it. Gout condition is caused by increased level of uric acid in the blood. The excess deposition of uric acid forms hard crystals in the joints which lead to painful inflammation and difficulty in joint maneuvers. Such inflammatory condition is more likely in men than women. But that is not to say that women are not susceptible to joint inflammations. Conditions like gout attack women in their post-menopausal period. An excess of any kind of acid in the body creates an acidic state in the body, which is vulnerable to chronic diseases and conditions. Too much consumption of foods like meats, including bacon, beef, pork, and lamb, organ meats, such as liver, kidneys, sweetbreads, and brains, and beer etc causes an increase in uric acid level. A large part of the uric acid is processed and ejected out of the body by the kidney. But, if the kidney fails to process the excess uric acid out of the body, crystals of uric acid forms in the joints. How Apple Cider Vinegar Works for Gout Relief? The acetic acid present in apple cider vinegar converts into an alkaline agent in the body that helps in alkalizing the body. Regular drinking of diluted apple cider vinegar disrupts the favorable acidic environment in the body. Apple cider vinegar purifies the blood and promotes healthy blood circulation. This consequently disbands the crystal accumulation of uric acid. Furthermore, nutrients like potassium, iron, manganese, and calcium in apple cider vinegar collectively helps to mitigate gout-related pain and inflammation. Metabolic wastes stored in connective tissues culminate to arthritic pains. The pectin, acetic acid, and malic acid in apple cider vinegar helps to eliminate the acidic toxins from the body and that’s how apple cider vinegar can alleviate gout pains. The anti-inflammatory properties of apple cider vinegar work for gout as well as in other inflammatory cases. Organic, unfiltered apple cider vinegar contains “mother,” strands of proteins, enzymes and friendly bacteria that works better and more effectively on ailments than the filtered apple cider vinegar. How to Use Apple Cider Vinegar for Gout Relief? Joint inflammatory conditions like gout can be very painful and distressing. We often look for easy and quick remedies to treat this condition. Apple cider vinegar for gout flare-ups is one such quick, traditional remedy. Does apple cider vinegar help gout? The answer is yes, although more scientific evidence is required in this area. It has been largely used in traditional medicine. Does apple cider vinegar help gout? The answer is yes, although more scientific evidence is required in this area. It has been largely used in traditional medicine. You can either take apple cider vinegar for gout internally, or apply it topically. To take apple cider vinegar for gout orally, just add two tablespoons of apple cider vinegar in a cup of water, stir well, and drink the concoction before meals. To administer apple cider vinegar topically on gout-attacked areas, dab a cotton ball in apple cider vinegar, and lightly massage the inflamed area. Be mindful to not drink apple cider vinegar directly from the bottle. Buffer the acidic flavor of it with water. Here are five apple cider vinegar recipe combinations to relieve gout. Honey is a superlative natural food that possesses anti-inflammatory properties, among many other health benefits. You can use it in combination with apple cider vinegar for gout treatment. In a mug of water, mix organic apple cider vinegar and honey in equal parts. Stir well. Drink the tonic twice a day, until you experience complete relief from gout. Be sure to try this apple cider vinegar for gout relief with baking soda recipe. The mixture of apple cider vinegar and baking soda can potentially balance the body’s pH level. Since it has an alkaline effect on the body, apple cider vinegar with baking soda can reduce gout pain and inflammation. Since it has an alkaline effect on the body, apple cider vinegar with baking soda can reduce gout pain and inflammation. Add two to three tablespoons of apple cider vinegar in a cup of water. Then, add ¹⁄8 tablespoon of baking soda to it. Drink the tonic on empty stomach regularly for effective results. As we know, apple cider vinegar contains live enzymes and acetic acid that bring relief to the pain and swelling due to gout. Add a cup of apple cider vinegar to four cups of hot water in a bucket. Stir so that the liquids mix well. Dip your gout-infected foot or feet in the bucket for 30 to 40 minutes. The heat and active enzymes of apple cider vinegar will reduce the swelling and pain. In a pot, heat 1 ½ cups of water and ¼ cup of apple cider vinegar over the stove. When the liquid is hot enough, turn off the heat. Next, soak a clean cloth in the hot liquid and wring it. Place it on the inflamed foot or joint, and wrap it with a dry cloth. Leave it on for 10-15 minutes. Repeat the process as required. If you cannot handle the acerbic taste and the after-effects of consuming apple cider vinegar, then you can apply it topically for pain relief. Mix two tablespoons apple cider vinegar with one tablespoon of coconut or olive oil, and massage the inflamed area with it for a few minutes. Do not wash off immediately. Leave it on. Apple cider vinegar is highly acidic by nature. It contains good amounts of acetic acid that benefit various health conditions and ailments. Since it is acidic, avoid consuming apple cider vinegar directly. It is recommended to dilute apple cider vinegar with some amount of water. Direct consumption of apple cider vinegar may erode your teeth enamel, irritate the throat, and interfere with blood thinning medications. It is recommended to dilute apple cider vinegar with some amount of water. Direct consumption of apple cider vinegar may erode your teeth enamel, irritate the throat, and interfere with blood thinning medications. There is no clinically-approved dosage of apple cider vinegar for gout. However, it is safe to take one or two tablespoons of apple cider vinegar with ¹⁄8 ounce of water. People who vouch for apple cider vinegar efficacy on gout, usually take the said dosage three times a day on an empty stomach. You can enhance the taste of the concoction by adding a tablespoon of organic honey or cherry juice. However, diabetic patients should refrain from adding honey in the tonic, as it might disrupt the blood sugar level. While apple cider vinegar for gout has received accolades from gout patients, there are other food alternatives for gout pain relief. Here are some other natural remedies for gout pain relief. Celery seed extract and celery juice are rich in antioxidants such as phenolic acids, caffeic acid, and ferulic acid. They also contain flavonols, like quercetin, that are useful in treating joint inflammation conditions like gout. Researchers have found that celery seed extract can indeed reduce the uric acid buildup in the body. This is a remarkable phytonutrient that has anti-inflammatory properties. A study published in Toxicology and Applied Pharmacology says that nettle is an excellent anti-inflammatory, and can be used to treat gout conditions. You can purchase nettle as a supplement or in tea form. While Apple cider vinegar for gout treatment is an effective remedy, fish oil is another healthy option. Although fish oils may take time to relieve gout pain, it surely can improve the condition. Fish oils are loaded with omega-3 fatty acids that can reduce disease-causing inflammation in your body. Black cherry juice or cherry juice extract is just as effective as celery extract or juice, as both are anti-inflammatory agents. The results of a study published in Arthritis & Rheumatism proves that cherry extract is efficient in lowering the risk of gout attacks. In the study, 633 individuals with gout were treated with black cherry extract. The results showed that it reduced the gout attack risk by 35%. Moreover, when the black cherry juice was combined with allopurinol, the risk further reduced by 75%. Although the above list provides us with quite a few options, apple cider vinegar for gout flare up is still the most popular remedy. However, there are a few things to be mindful of before adhering to apple cider vinegar for gout pain. Firstly, remember that apple cider vinegar is acidic, and should only be taken in diluted form. Otherwise, the acid content may erode the enamel of your teeth and irritate your throat. It is always good idea to talk to your doctor before using apple cider vinegar for gout. 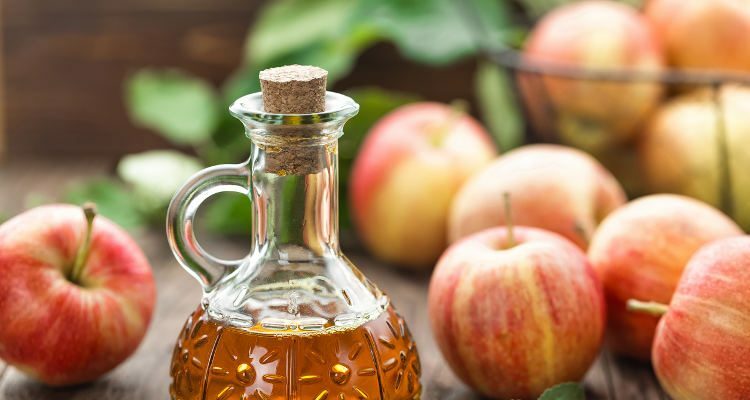 Also, as previously mentioned, the health benefits of apple cider vinegar are noted through years of use in traditional medicine, and have yet to be proven scientifically.